May 27th, 2015 | Moving For Work, Moving Tips. You’ve already found your dream home in your new town, even though your current home still has a big “For Sale sign” on it. Interested buyers come and go. But you’re ready to move on-now. Before you make an offer and call the movers, take a deep breath and look at the big picture. Moving typically takes between six and nine months. In some markets, it can take as long as a year. It requires you to sell your home, buy a new home, and potentially find a short-term rental as you transition from one to the other. It requires you to store valuable items, figure out what to pack for the interim, and decide what you want professional movers to transport. While we’ve reviewed packing checklists and offered detail-oriented recommendations, for this blog, we want to talk about the bigger picture of moving. For the sake of planning with enough wiggle room, lay out a six month-long moving timetable. Then, follow these simple steps to preserve your peace of mind as the moving process unfolds. especially for families. Two mortgages represents a major financial commitment. Even if you can reasonably afford to pay for two homes, the logistics of negotiating two sales at once are very time-consuming. Before you jump the gun and buy a new home, talk to your real estate broker about how you can speed up the sale of your home. Often, that may mean lowering your asking price. 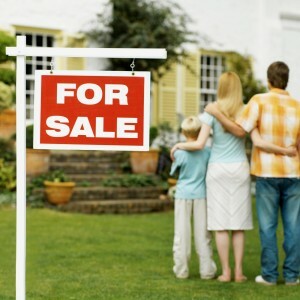 Once you have sold your home, it may mean you stay with your in-laws. Or, it may mean you rent a condo while you negotiate the purchase of your new home. However, your patience can save you much needed time and money. Buying and selling homes involves more than a transfer of money. Mortgage applications, home inspections, lawyer visits, and price negotiations are only a handful of things on your to-do list. Most people dramatically underestimate how long these things take-up to three months-and how much mental and emotional energy they expend during each of part of this process. Make a list of every single meeting you have to have and add them to the six-month timetable. Cut out any meeting that’s not 100% necessary. Safeguard your time, and don’t overdo it. If you and your spouse can split the workload, do so to avoid either of you getting overwhelmed. Focus first on everything you need to do to facilitate your home’s sale. Once it is sold, then it’s time to start packing. Organize all forms of identification, financial statements, and other important documents before you start packing. You don’t want to be searching through closed boxes for your tax returns or your children’s birth certificates. Next, pack the clothes, toiletries, and comfort items that you feel you need for your interim location. Typically, it’s best to pack a month’s worth of items. Now, start thinking about moving day, even if it’s still three months away. Give yourself two weeks to sort through what you should pack versus what the movers should pack. A moving professional can advise you on what you should keep with you, what the movers should take care of, and how best to prepare for moving day. When you’re relocating, it can be easy to get bogged down in the details. Instead, follow our guidelines to stay focused on the big picture of moving. And remember, it’s not a sprint; it’s a marathon.